do you have a question or concern that you want to ask us? If you have a question or concern pertaining to motorcycles, feel free to submit it here. All questions and concerns will be reviewed and within 24-72 hours forwarded to a member that may be capable of providing you with the best response. Once the question or concern has been fully addressed, we will post those questions/concerns along with the response below so that others with the same question/concern may find the response. Only your first name will be posted with your question/concern. 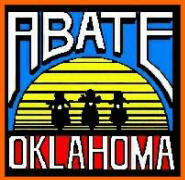 Question: Is Oklahoma a helmet free state?